Brother LC231 Yellow Ink Cartridge - 550 pages &nb.. 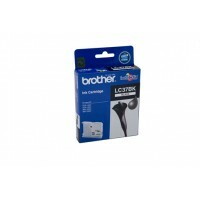 Brother LC233 Photo Value Pack - 550 pages each .. Brother LC233BK Black Ink Cartridge - 550 pages &n.. Brother LC233C Cyan Ink Cartridge - 550 pages .. 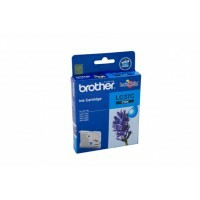 Brother LC233CMY Colour Pack - 550 pages each &nbs.. Brother LC233M Magenta Ink Cartridge - 550 pages .. Brother LC233Y Yellow Ink Cartridge - 550 pages .. Brother LC235XLC Cyan Ink Cartridge - 1,200 pages .. Brother LC235XLCMY Colour Pack - 1,200 each .. Brother LC235XLM Magenta Ink Cartridge - 1,200 pages .. Brother LC235XLY Yellow Ink Cartridge - 1,200 pages .. Brother LC237XLBK Black Ink Cartridge - 1,200 pages .. Brother LC239XLBK Black Ink Cartridge - 2,400 pages .. Brother LC37 Black Ink Cart Black 350 pages .. Brother LC37 Cyan Ink Cartridge Cyan 300 pages &nb..